Office Managers: Get the Credit You Deserve and Be a Hero! Being an office manager can be a thankless job. They have all the responsibility when something goes wrong but not much praise when something goes right. They’re on call all the time in case of an emergency, but their salary doesn’t reflect all the extra time they put in. 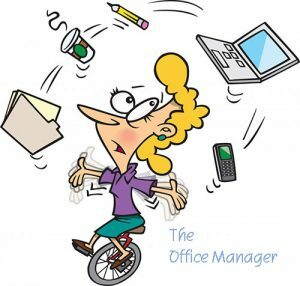 One of the hundreds of things office managers are usually responsible for is the ordering of office supplies! Employees won’t bother to report when they’ve taken the last dry erase marker from the supply cabinet, but will complain when they go to get another one and the box is empty. We know these things because we talk to office managers all the time and we understand. Here’s a way to score some points with management by saving time and money: The next time you have to replace a worn dry erase board, don’t do it! 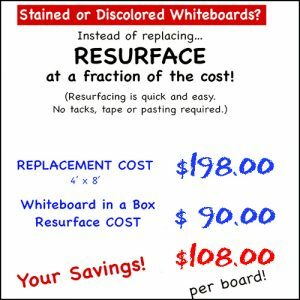 Resurfacing an old, worn whiteboard is easy with Whiteboard In A Box. All you have to do is order the size that comes closest to your existing whiteboard, trim it to size, remove the backing from the self-stick adhesive side of the film, and carefully apply it to the old board. Voila! You have a new whiteboard. You’ll save on the cost of buying a new board and on having another one installed with drills and screws and a big mess. You’ll also save one old whiteboard from jamming up our already over-crowded garbage dumps. The environment will thank you and so will your boss for saving time and money. 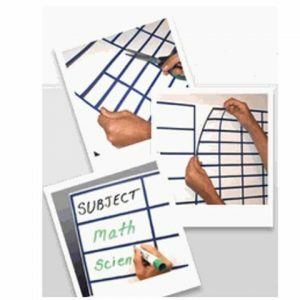 Keeping your dry erase boards organized is easy with our self-stick or magnetic grids. Click here to shop those products! 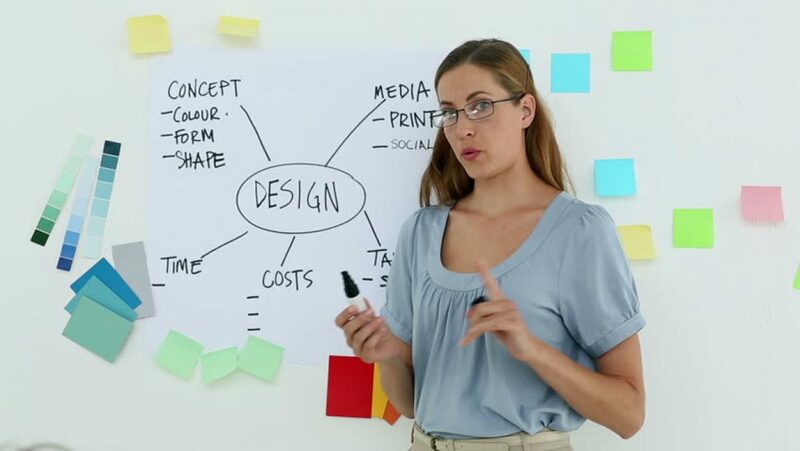 While you’re online with us, you’ll also see our many other dry erase products including markers that are brighter and last longer than the leading brands. Our dry erase marker cleaner and erasers are also superior to what’s offered by the big office supply stores. We’re an independent, women-owned company dedicated to giving you great products and fast, dependable service. Try us!